Hi everyone! 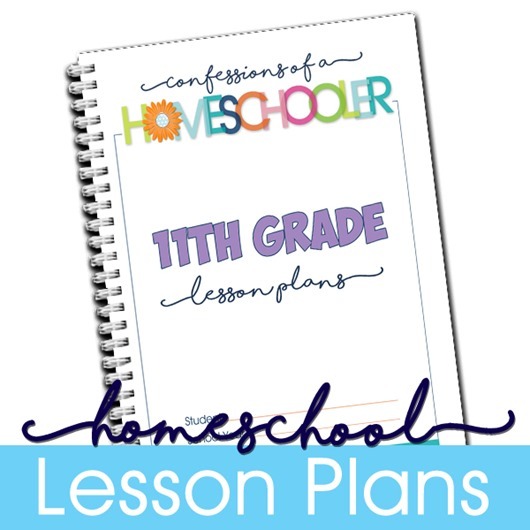 My 11th Grade Homeschool Lesson Plans are now available! I always hear from parents worrying about whether or not they’re doing enough, so I wanted to give you a head start with pre-made lesson plans that are easy to follow and include everything you need to complete 11th grade. That said, each states requirements can vary, so please make sure to check with your local school district to make sure you are meeting your states requirements. **These plans include main subjects to complete eleventh grade level work with your student. That said, you’ll want to check with your local state homeschooling requirements to make sure you are following their requirements as states can vary. 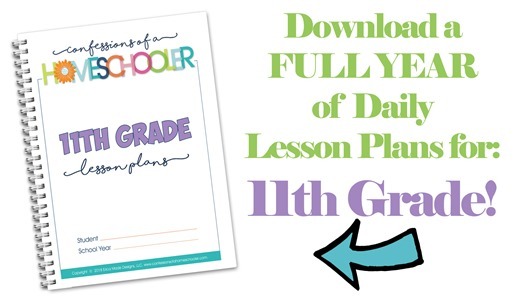 –>> Get my COMPLETE HOMESCHOOL DAILY LESSON PLANS for 11th Grade here! 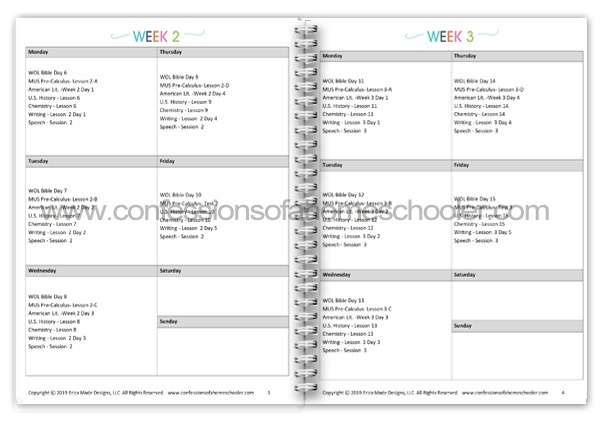 **PLEASE NOTE: These plans include main subjects to complete eleventh grade level work with your student. 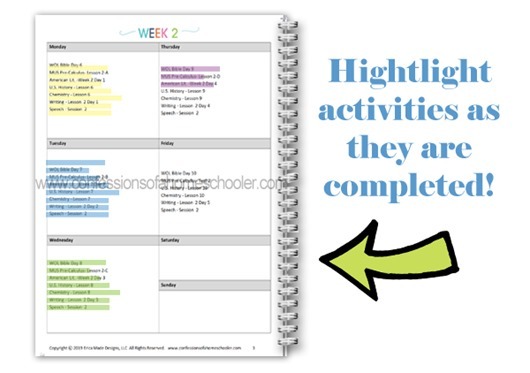 That said, you’ll want to check with your local state homeschooling requirements to make sure you are following their requirements as states can vary.